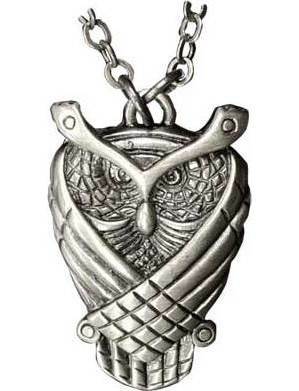 With wings and facial features woven of Celtic knots this owl necklace speaks of timeless wisdom. Has 24" chain. Pewter. 1 1/4" x 3/4"